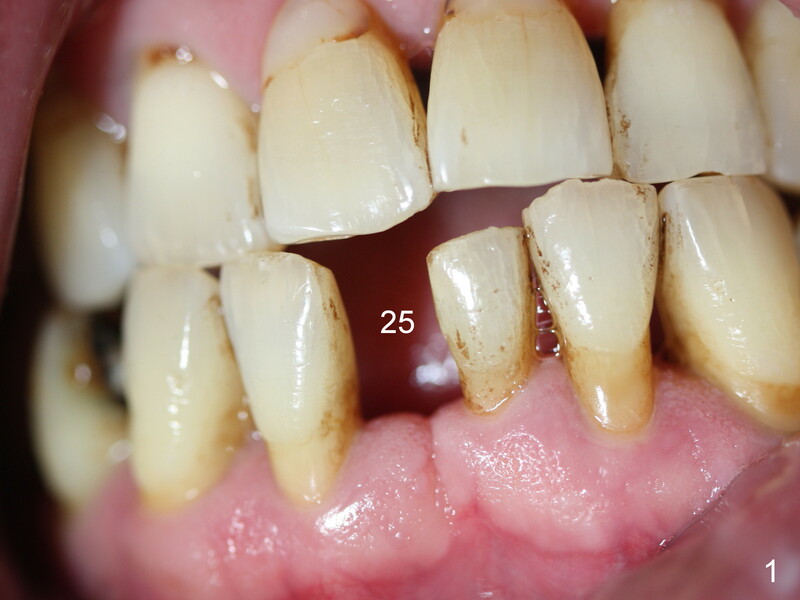 A 50-year-old man (smoker, bruxer) has chronic periodontitis. 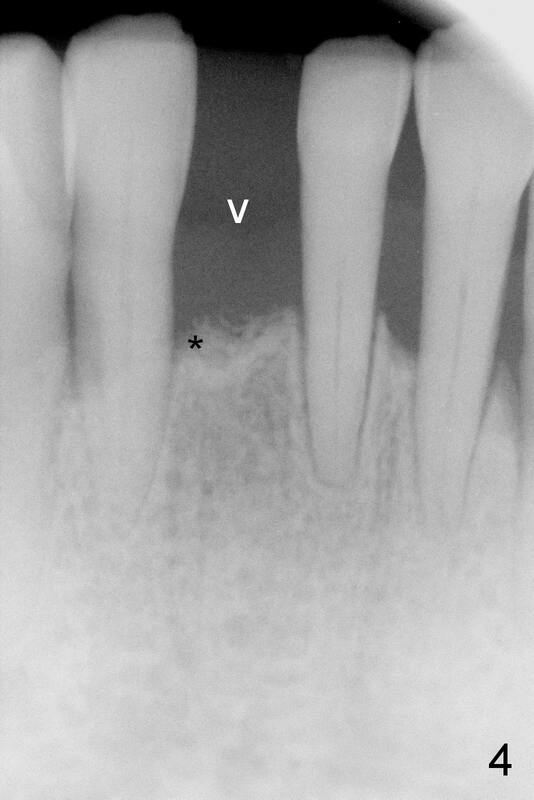 The tooth #25 has been lost for 6 months (Fig.1). 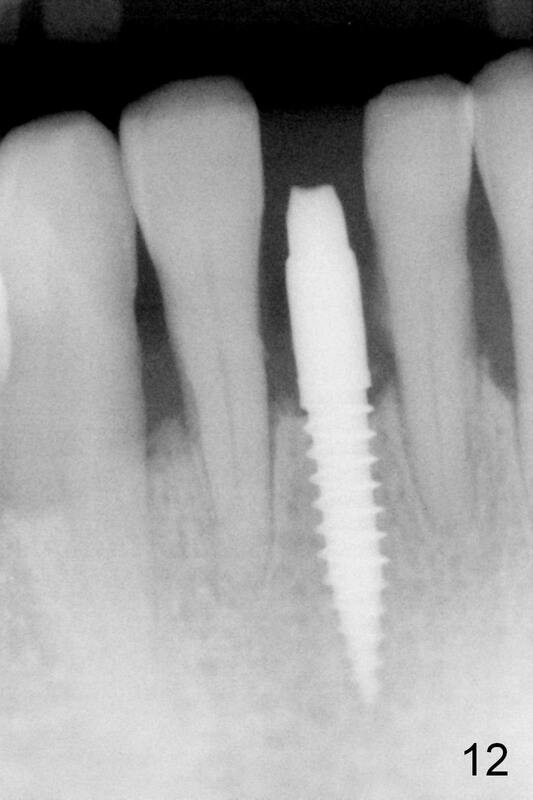 To place an implant smoothly, the most related anatomic feature is the labial bony undercut (Fig.2 *); effort should be exerted to avoid perforation of the labial plate during osteotomy. 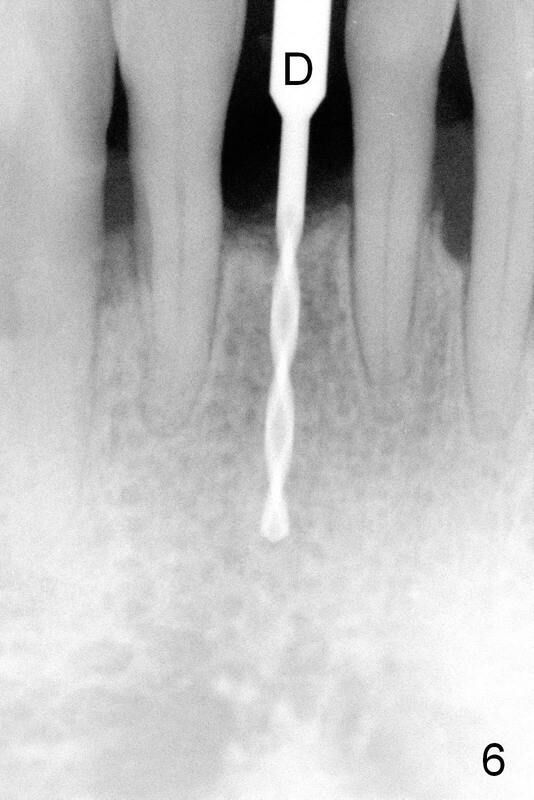 The ridge is seemingly wide (Fig.3). 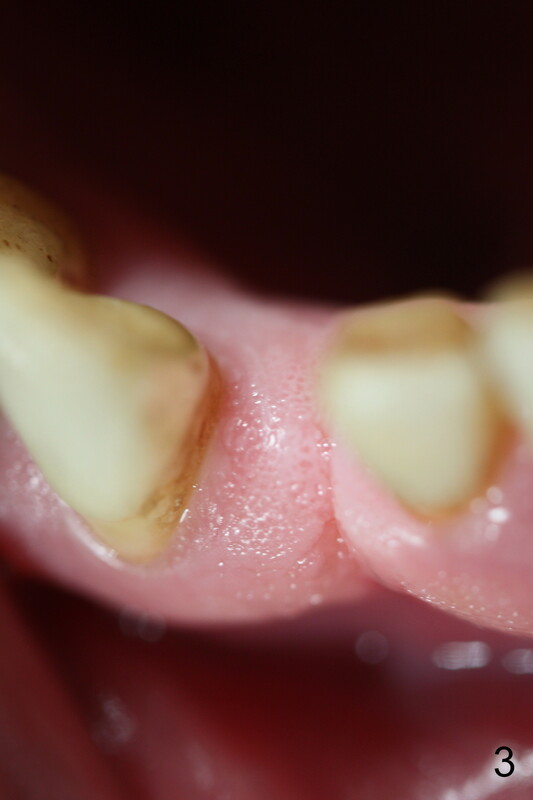 The crest is lower distally (Fig.4 *); the gingiva is approximately 4 mm thick (arrowhead). 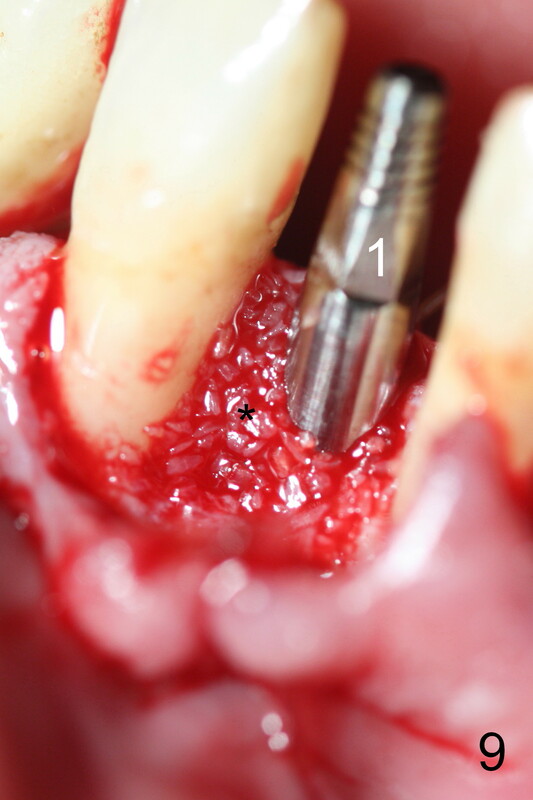 Good exposure is necessity to appreciate the local anatomy (Fig.5) and start osteotomy in a correct position and accurate trajectory (Fig.6). 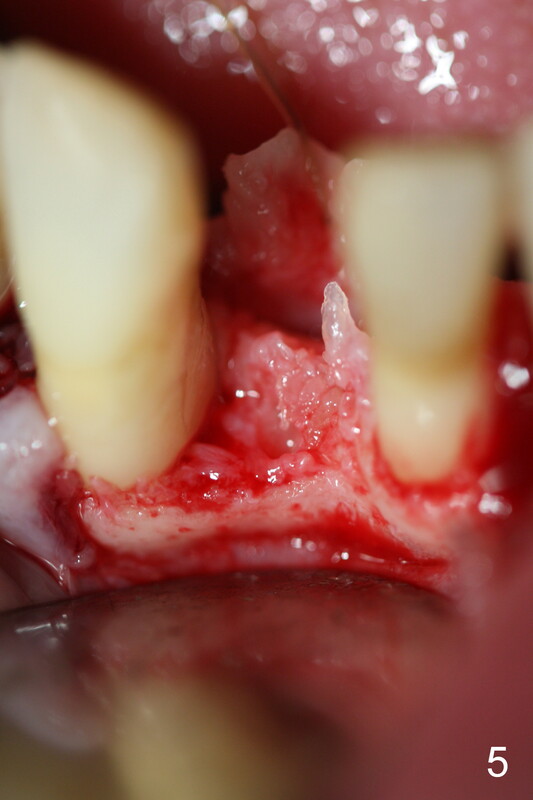 When the osteotomy is finished, it is somewhat in the middle of the crest (Fig.7). 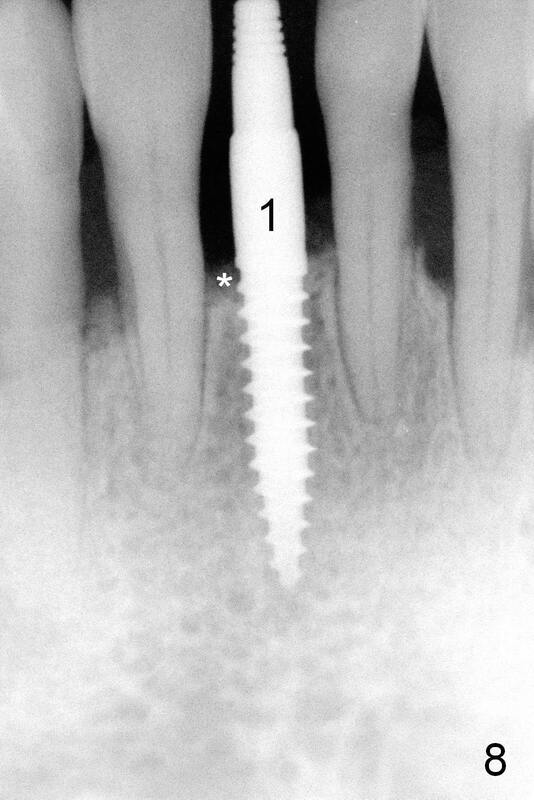 The anatomic deficiency (distal crest defect, Fig.8 *) is going to be restored with bone graft (Fig.9 *) after a 3x14 mm one-piece implant is placed. 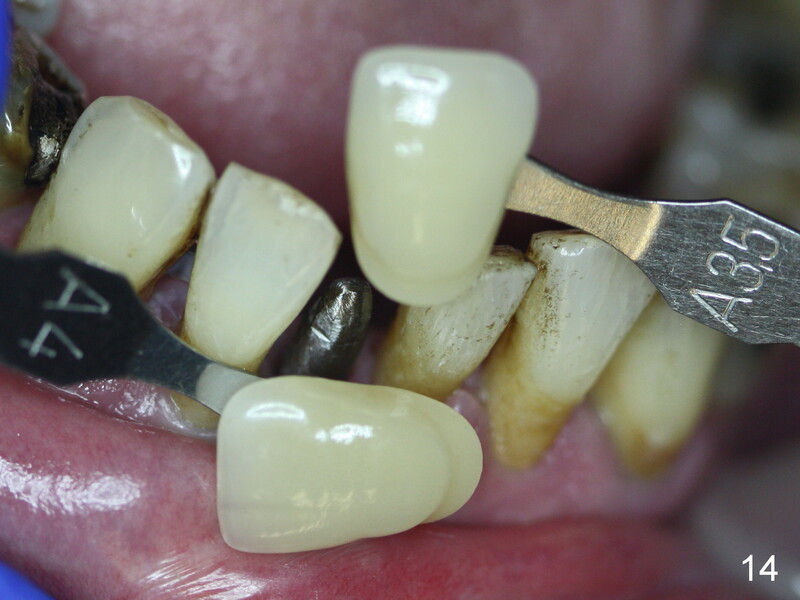 After modification of the abutment, an immediate provisional is fabricated. 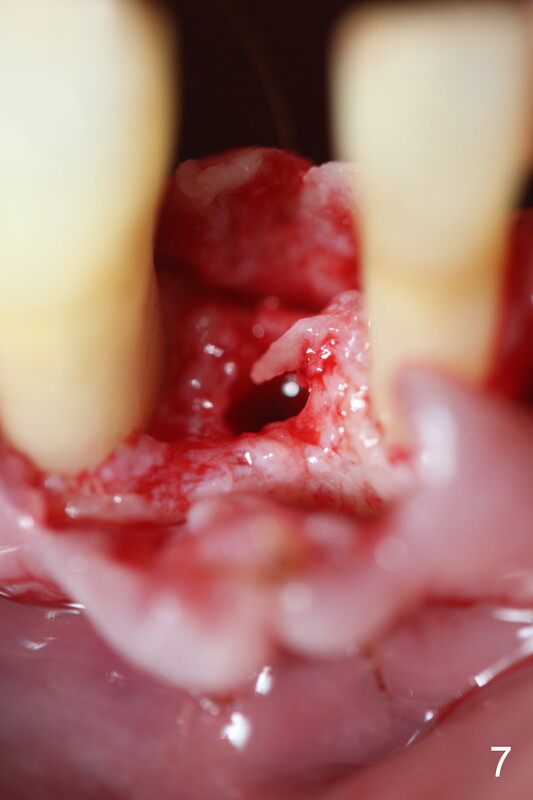 The wound is healing 7 days postop, in spite of heavy smoking stain (Fig.10,11). 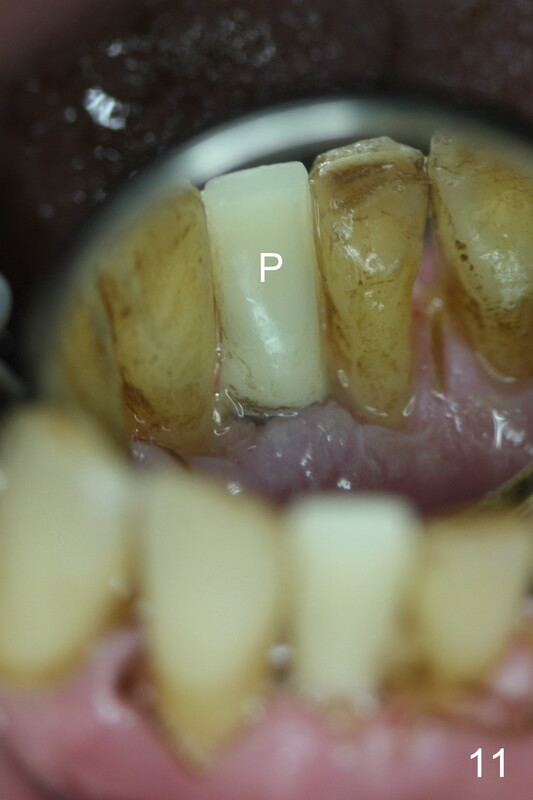 The patient returns for restoration 4 months postop: mild crestal bone resorption (Fig.12, as compared to Fig.8). 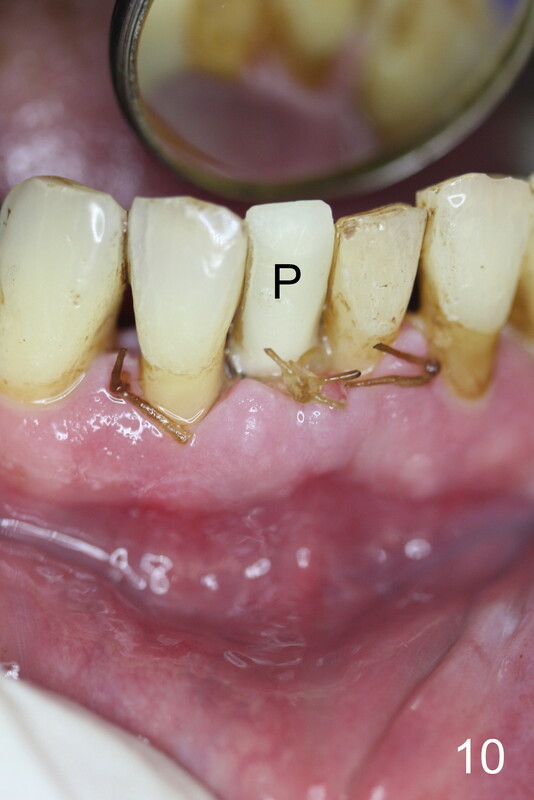 The margin (Fig.13 <) is lower than the labial gingiva (*). 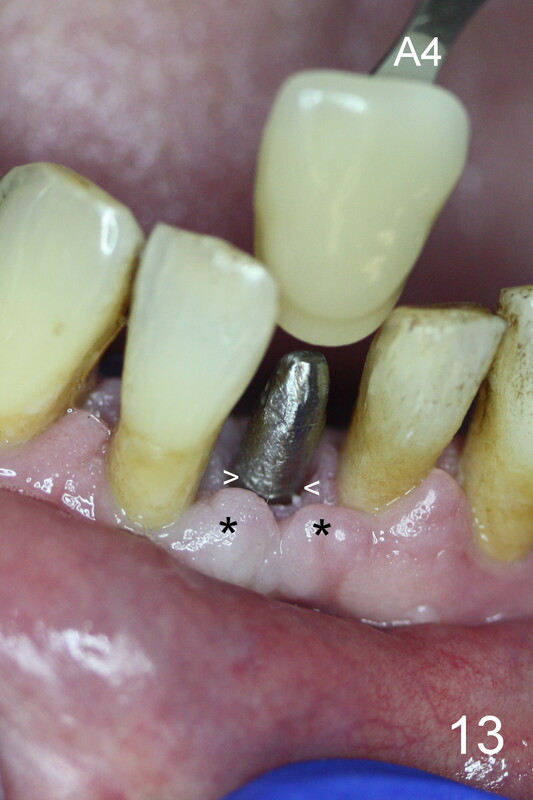 For gingival health, the margin of a posterior implant crown is preferably supragingival. 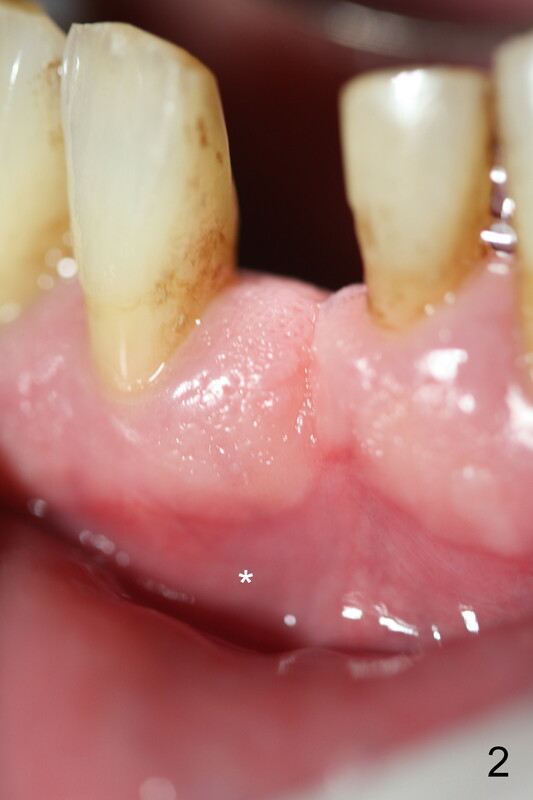 For cosmetics, the labial margin of the upper anterior should be slightly infragingival; the lower anterior, equi- or infra-gingival.